In addition to a beautiful certificate awarded to all students listed in the PSA credits, a $25 iTunes card will be awarded to the lead student for each winning entry. Three entries per grade-level division (Elementary, Middle, and High School) will be selected. Entries must be submitted (online) by midnight, May 6, 2015. For more information, visit the PSA Challenge page and download the 2015 PSA Challenge flyer. 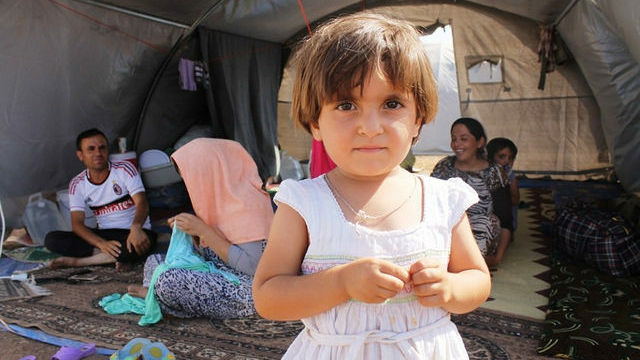 The Challenge: Can kindness and empathy really be taught? This morning I re-read Lisa Currie’s October post for Edutopia: Why Teaching Kindness in Schools Is Essential to Reducing Bullying. In the past couple of months, the impact of school-wide bullying in the Sacramento region has been disturbingly newsworthy: the tragic suicide of an 8th grader in one district; a bullying lawsuit in an adjoining district; a number of student suspensions for racist activities at another; and an embarrassing parent confrontation during a regional cyberbullying public event for another. This recent stream of bad press highlights the need for districts to teach – and expect – kindness and civility (AKA good citizenship) – face-to-face and online. In my current position as a technology integration specialist for a large public school district, I am a regular visitor in K-12 classrooms. Many school sites display banners and/or posters around the campus reflective of the sites’ character education programs. Many have added cyberbullying to their character ed programs or are offering it as a stand-alone part of their digital citizenship curriculum (all sites are required to have some type of #digcit program in place). I am proud of the way many of our students, particularly at the secondary level, have stepped up to the challenge of confronting bullying. At one site, for instance, through their Unbullyable project, I know students have had a positive impact on their own campus as well as on their feeder elementary and middle schools. I am grateful I have not yet opened the SacBee to find one my district’s schools featured on the front page for hurtful or hateful acts. And I applaud the efforts of K-12 teachers across the district to support their students in standing up and speaking out against bullying/cyberbullying. Yet a number of times, at several high school campuses, as I make my way through throngs of students exiting at the end of the school day, I hear them yelling out to classmates with rude, racist, sexist, homophobic, etc., comments. As tempting as it is to keep walking (it’s just kids being kids, no? … I’m not actually a faculty member here, right?, etc. ), when I stop and face the offending student (who probably had not realized there was an adult in their midst), he or she basically always has the same reply: “Oh … Sorry… I was just kidding.” It takes my standing there a while longer before they will generally say once again that they are sorry. It think/hope the difference is that the first “Sorry” is because I heard them; the second “Sorry,” the one that matters, is for having said the unkind slur in the first place. But really, can kindness be taught? Can school districts serve as hubs for promoting these essential, timeless life skills? As evidenced in the Unbullyable project, I think so. 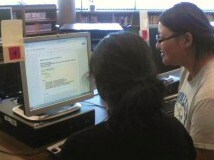 Part of my job involves checking that all sites are teaching digital citizenship. In the first quarter of the school year, each site submits how it plans to meet e-Rate requirements. 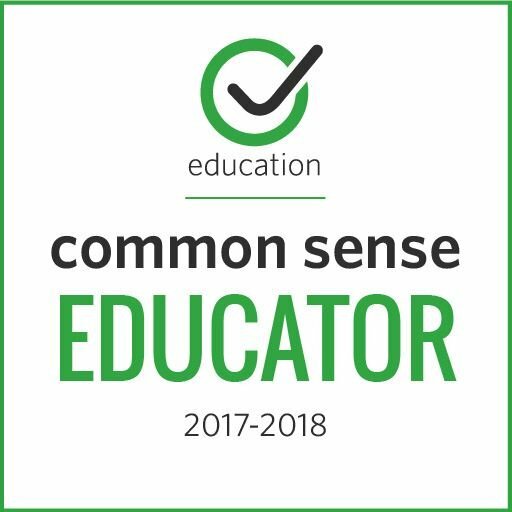 So teaching a few lessons during an advisory period, for instance, from Common Sense Media’s wonderful offerings, meets the requirements and often generates thought-provoking, possibly behavior-changing conversations. But some sites go above and beyond the minimum requirements by supporting a variety of student-led initiatives. These sites recognize that, with bullying/cyberbullying, the most impactful campaigns are student-initiated and student-led. At several of these same sites, teachers are weaving discussions of current bullying issues (local, national, or global) into their literature and social studies units. Although I’ve not set up any type of formalized student surveys, I’d be willing to bet that at these sites bullying incidents are becoming less frequent and, hopefully, less devastating. So how do we teach kindness to our students? I believe in the power of stories to transform hearts and actions. Thankfully, there is a wealth of powerful literature, starting with picture books, that teachers can use to ignite ongoing conversations on what kindness looks like. Common Sense Media’s Books that Teach Empathy list is a great K-12 resource and includes some of my favorites, such as R.J. Palacio’s Wonder. It is from stories, whether fiction or nonfiction, recent or from the past, and the ensuing conversations, that students often come to understand the role of the bystander in allowing bad things to happen, from bullying on the playground to unthinkable, unspeakable acts of government sanctioned brutality. Students need examples of what it means to cross the line from bystander to upstander. They need opportunities for grade-level and cross-generation conversations on how the courage of a single person to stand up and speak out against bullying and social injustice can change the school climate or even the history of the world. One of my favorite upstander’s tools is the Upstanders, not Bystanders VoiceThread. 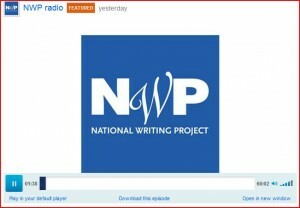 I co-curate this VoiceThread with my Digital ID partner/National Writing Project colleague Natalie Bernasconi. In the two years since we started the Upstanders, not Bystanders project, we’ve come to value how all voices and stories matter, from our kindergarten contributors to our Rwandan genocide survivor. Teaching kindness and civility needs to start in the primary grades and continue through adulthood. One tip I have for readers is to document the work of your school sites. 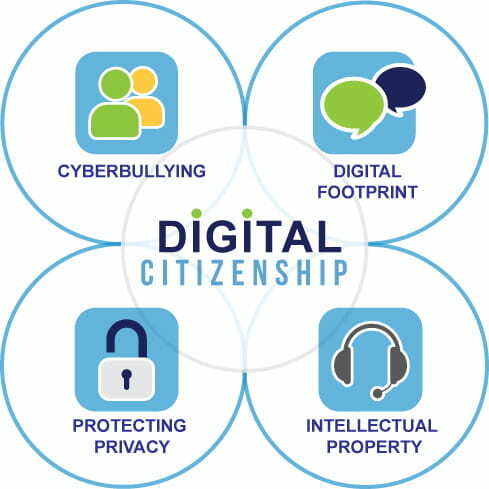 In the Sacramento bullying samples I mentioned above, I believe three of the four districts are currently in the process of developing district-wide digital citizenship plans. The fourth district has curriculum and procedures in place, but refers to the program as digital literacy rather than digital citizenship. Although the broader title makes sense, in the likely need to CYA, I think it’s wise to intentionally single out how each site specifically implements the teaching of citizenship/digital citizenship. A simple procedure my district has put in place, in addition to each site submitting an implementation plan at the start of the year, is requiring each principal to sign a statement at the end of the year verifying that digital citizenship has been taught at his/her site. As my district heads into the third year of requiring school sites to document their digital citizenship plans, one shift I’ve noticed is also one I strongly recommend: Rather than plug in your plan at the close of the school year (post testing), as some of our secondary sites initially did, start the year teaching kindness and civility. Whether it’s through a shared article, a story, an assembly, etc., if the activity is followed with classroom discussion, I am pretty sure you will find, as a number of our teachers have, that student buy-in will be greater as will instances of students actually putting their citizenship skills into practice. Once standards for online/offline behavior have been articulated across the site, students are more likely to speak up for others and to think twice before they hit the submit button. In addition to the resources listed above, another outstanding resource is the Cyberbullying Research Center. 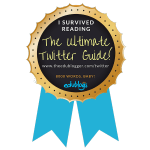 I love their Cyberbullying Quiz – What the Research Shows, and all the resources linked under their Related Posts section. 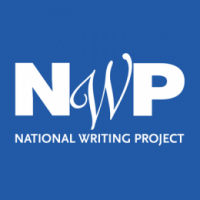 This exceptional resource, and many more, are listed on the Stepping Up page of the Digital ID project – along with the invitation for your students to submit a PSA in the upcoming 2015 Digital ID PSA Challenge. Edutopia! Lisa Currie’s article is part of the dynamic Bullying Prevention collection of resources on teaching kindness, empathy, and digital citizenship. On my New Year’s Resolution List is the intent to update this post during the school year with samples of digital citizenship surveys for students, along with data on the results and impact of teaching kindness and civility. I welcome your input. Best wishes to all school sites for a year of newsworthy positive accomplishments! 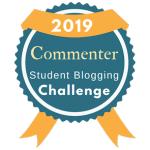 If you are looking for opportunities for your students to speak out on digital citizenship issues, checkout the 2014 Digital Citizenship PSA Challenge. Students in grades 4-12 are invited to submit a 90-second (or less) PSA that addresses taking a stand on cyberbullying, building a positive digital footprint, respecting intellectual property, or protecting online privacy. 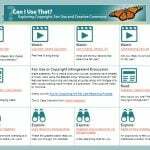 Sponsored by the Digital ID project, all the information for creating and submitting a PSA is posted to the PSA Challenge page, including a wealth of resources and even a link to printable flyer. Prizes? Yes. Once again we* are offering $25 iTunes cards to student producers of the top three entries for elementary, middle, and high school categories. Please let me know, by leaving a comment, if you have questions. Hope to see entries from your students! *Disclaimer: I am a co-curator of the Digital ID project. As my fellow co-curator Natalie Bernasconi and I head into our 3rd year of sponsoring the PSA Challenge, we look forward to showcasing the work of students across the nation and globe. The Digital ID project and the PSA Challenge are in recognition that the most powerful, impactful teaching model is the students-teaching-students model. 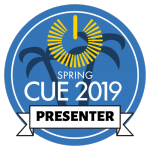 Personalization of Learning through Digital Content – Each year that I’ve attended ISTE, I check through the program for Cheryl Lemke, knowing that I’ll leave her session with research that will inform my practice and guide me through the next school year. The session write up from her Metiri group stated that she would ” present a framework for understanding the types of digital content pertinent to schools, approaches to lesson design that leverage digital content; how to curate digital collections for and with students; and policy and digital learning environment considerations. ” She delivered. OER Commons – Open educational resources = democratization – lays on top of copyright, allowing others to remix and repurpose. Rich collection of lessons with an open invitation to download and use. Gooru Learning – In Beta phase, site is a partnership between Google engineering and the Packard Foundation. Gooru is suggesting that kids become the curators. Ubiquitous Games – From MIT – check out Breeders (protein synthesis), Invasion of the Beasties (evolution), Island Hoppers (food webs), and Chomp! (complex food webs). I’ll update this post when Cheryl’s presentation resources are available online. Copyrights? Teaching Fair Use Reasoning to the Remix Generation – I had the pleasure of joining Kristin Hokanson, Ginger Lewman, Sandy Hayes, and Lisa Parisi as part of this panel discussion. My interest in “strengthening my fair use muscles” started several ISTE Conventions ago, when I traveled to Philadelphia for the all-day Sunday session with Kristin and Renee Hobbs. I blogged that session, stating that if it were the only session I could attend, I already had my money’s worth. A year later, I traveled back to Philadelphia to participate in another all day workshop with Renee and Kristin. Having made the switch from the “10% of this; 30 seconds of that” approach to teaching copyright and fair use, I now wanted the background to turn around and help teachers and students in my district make the mind shift to fair use as a case-by-case argument – and a critical component of digital literacy and citizenship. 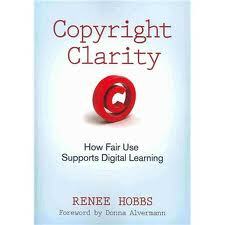 In the past school year, as I worked on updating my district’s 3-year Technology Plan, I wove Copyright Clarity: How Fair Use Support Digital Learning (Renee’s book) into the plan narration and bibliography. I have also included the book as well as Kristin’s link to Fair Use Reasoning Tools on the Digital ID project. 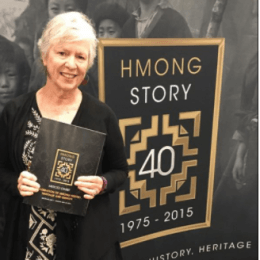 What a treat to be a part of the ISTE’s Copyrights? Teaching Fair Use Reasoning to the Remix Generation panel! As the hour ended, I left with a renewed commitment to continue teaching this “messy” topic back home in my region and district. 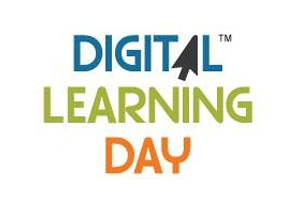 ISTE Unplugged – Digital ID Project – In a couple of weeks, I’ll be joining my project co-curator Natalie Bernasconi on a trip to Redmond, WA, where we will compete in Mirocosoft’s Partners in Learning 2012 US Forum. 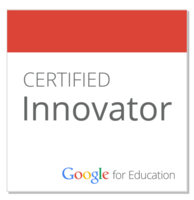 We’ll be joining 100 other educators from across the US for what I already know will be an extraordinary experience. As part of the event, Natalie and I will be pitching our Digital ID project to a team of judges – in hopes of taking the project one step and location further: the November International Forum in Athens, Greece. Google in Education – I entered the Exhibition Hall and wondered into the Google booth in time to hear Elizabeth Calhoun’s presentation on Digital Literacy and Citizenship… just as she was referencing the Digital ID project as a great starting point for teachers looking for resources, strategies, and tools for rolling out digital citizenship programs at their school sites. Now this was definitely an ISTE highlight for me and my Digital ID co-curator, Natalie Bernasconi:-) 🙂 :-). Implementing Digital Citizenship: Lessons Learned from the First Year – Common Sense Media’s session, facilitated by Kelly Mendoza, was a great opportunity to hear stories from the trenches from elementary teacher Audrey Stokes and a middle school teacher Jeff Brain. Like everyone in the crowd, I too was there to let Common Sense Media know how much educators appreciate the phenomenal free content posted to their website – with more on its way, such as the soon-to-be-launched Digital Passport Program (for grades 3-5). Sadly, in order to catch my flight home, I had to leave before hearing the DeforestACTION closing keynote, so I’m hoping others have blogged the session. 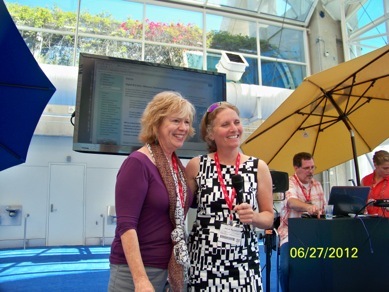 Start to finish, ISTE 2012 was a fabulous experience (and only a direct, non-stop flight away;-).